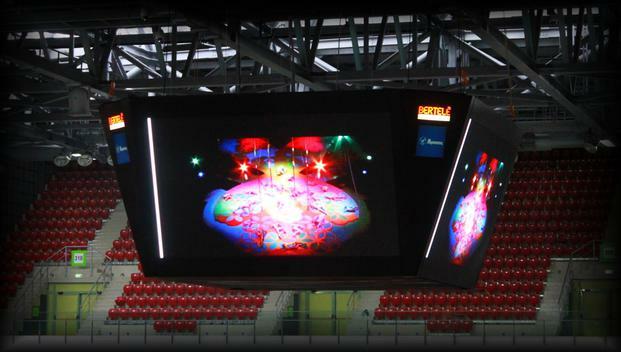 The media cube has 4 displays with dimensions 520/380 cm. The pixel step is 10 mm and the transmition signal is – MPEG 2 Standart 16/9. There are also two identical digital scoreboards.